We were told he'd said "sorry" to the gaffer and his teammates. So we all waited for the headline grabbing apology to the supporters. But when it came, with a big fanfare in The Sun, it showed him up yet again as an uncouth yob. Rooney declared, "I feel like I've apologised to the fans, but everyone keeps saying that I haven't and, if that is the case, then I apologise for my side of things. "My side of things"? What's that supposed to mean? In my book, the apology he's dished out is at best grudging and at worst, conditional. Does he think he's only partially required to say sorry and that United are equally culpable for an apology? or perhaps he believes he's not really required to say sorry as much as others feel he is? He also thinks he'd already said sorry to supporters. Wayne Rooney's not apologised wholeheartedly. Obviously as a reportable quote, it'll be declared an apology to the fans. But it isn't. Rooney also made it clear that he would've never joined Manchester City or any other Premier League club for that matter. He's arrogant enough to believe Barcelona and Real Madrid would sign him. That was by no stretch of the imagination, a certainty. He clearly doesn't give a monkeys for any relationships he has and he should be treated accordingly. My advice for United fans from now on: cheer when he scores and boo him when he's not delivering. For United's board, keep him performing at the highest level - and transfer him for a fortune within the next three years when he doesn't. 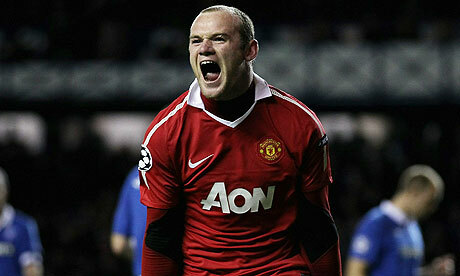 Wayne Rooney, another footballer who contributes to the sport's growing bad image.